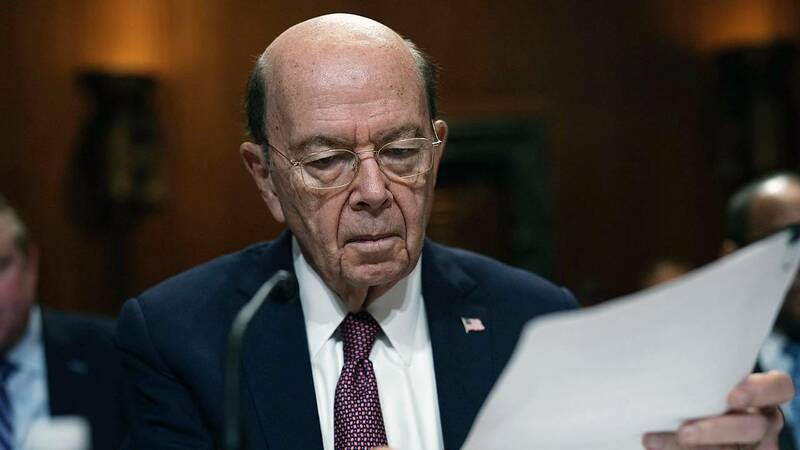 (CNN) - The Trump administration has asked the Supreme Court to block Commerce Secretary Wilbur Ross from having to face a deposition on the decision to reinstate a citizenship question on the 2020 census. In papers filed with the court, Solicitor General Noel Francisco told the justices that a panel of judges on the 2nd US Circuit Court of Appeals was wrong to uphold a district court ruling that allows the deposition to proceed. "The balance of harms weighs strongly in favor of an immediate stay," Francisco wrote. He noted that the challengers intend to depose Ross, as well as acting Assistant Attorney General John M. Gore of the Justice Department's Civil Rights Division, on Wednesday and Thursday. "Absent a stay, these high-level Executive Branch officials will be forced to prepare for and attend these depositions, and those harms cannot be undone by an eventual victory on the merits," Francisco wrote. Within the hour, Justice Ruth Bader Ginsburg -- who has jurisdiction over the 2nd Circuit -- issued a temporary stay. Acting alone, she said the lower court opinion would be put on hold at least until the challengers had filed their response by 4 p.m. Thursday. The full court is then likely to weigh in. The filing could prove to be the first time Justice Brett Kavanaugh is asked to weigh in on a matter of interest to President Donald Trump, who put him on the bench. The case arises from a lawsuit filed by New York and several other states challenging the decision to add the citizenship question. Ross has said publicly that he added the question to comply with the Voting Rights Act, but his critics charge that his real motive was to reduce the representation of immigrant populations. Democrats point to internal documents and public statements by Ross as evidence that he was interested in including the question long before the Justice Department officially asked for the question in order to assist with enforcement of voting laws. Multiple experts have voiced concerns that the citizenship question would lead undocumented people to avoid replying. The census is designed to count every person living in the country, not just citizens, and it is used in consequential decisions ranging from federal infrastructure spending to the number of seats each state holds in Congress.